In the past couple of years, we have read and reported several instances wherein ecommerce buyers claimed to have received stones instead of iPod in their delivery; or receiving coconut, Vim bar instead of their phone. But what if the claim was false and the buyers intentionally reported such instances to dupe the ecommerce portal? From now on, it can lead to an arrest. In one of the rarest instances of an ecommerce initiating investigation against fraud, police have arrested two techies from Hyderabad who had duped Flipkart of an iPhone worth Rs 51,590. 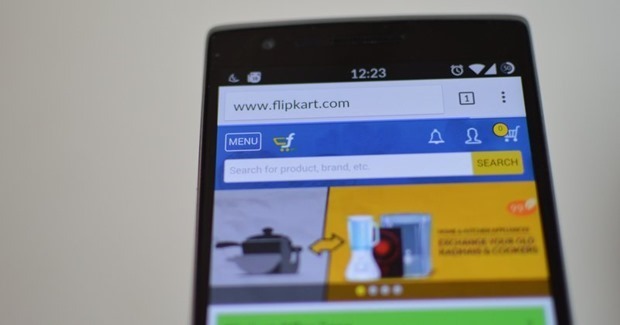 As per Chikadpally, Hyderabad police station’s additional inspector P Balavanthaiah, accused Atul Sharma and Naveen Kumar have been arrested after a complaint from Flipkart. Atul Sharma ordered an iPhone 6 costing Rs 51,590 from Flipkart. The order was made under the name of Naveen, was delivered within 2-3 days. However, after receiving the handset, Atul claimed that the package contained rubber and paper; and said that there was no phone. Flipkart immediately refunded the entire amount back to Atul. However, Flipkart investigated the lost handset, and based on its IMEI number, found it to be in operational use somewhere in Hyderabad. They complained to police regarding this and further investigation by the cops led to Atul and Naveen who were in possession of the handset. Last year, Government proposed that ecommerce portals should come under purview of Consumer Protection Law. This was proposed after rising cases of frauds reported against eCommerce companies in India. However, there has to be a balance between the privileges and the law; and honesty must be the norm. In a recent thread posted on Reddit India, it was found that Amazon provides ‘partial refund’ to all customers worldwide, except India. The submitter of this information found this while chatting with a customer representative of Amazon. Maybe Amazon has discovered instances wherein Indian customers have been abusing this facility or there can be some technical complications as well. But duping ecommerce portals by fake claims of damaged/incomplete delivery can harm the industry and the fine line of trust would be forever blurred. "Flipkart Investigates Online Shopping Fraud Leading To Arrest of 2 Techies", 5 out of 5 based on 28 ratings.